Home » Japanese Knotweed » Is Japanese Knotweed Dangerous? One of the most common questions we are asked is: “is Japanese knotweed dangerous?”. Schedule 9 of the Wildlife And Countryside Act (1981) lists those non-native plant species that, due to their potentially invasive and damaging nature, it is an offence for anyone to plant or to otherwise cause them to grow in the wild. There are 33 plants on this list, and of these, only Giant Hogweed (Heracleum mantegazzianum) could possibly be considered “dangerous”, as it can pose a public health and safety risk (the sap contains a toxic chemical that causes photosensitivity in the skin, which can result in painful blistering when exposed to sunlight). Japanese Knotweed is not toxic. In fact, it’s edible and is harmless to humans and animals. Some people even use it in recipes such as knotweed crumble and beer! It has also been claimed that it has some impressive life extending and anti-aging properties (if you believe the marketeers…). Goats too are known to be quite partial to its luscious green leaves, indeed Bournemouth council implemented the use of goats as part of their weed control management plan in 2009. Although knotweed is not directly “dangerous” to people, it can be incredibly damaging to the environment, both natural and manmade. Japanese knotweed is vigorous and capable of rapidly developing very large stands, which can dominate natural landscapes and outcompete native plants (helped in part by its releasing allelopathic chemicals into the soil which hinder the growth of nearby plants), the result of which can be a drastic reduction in biodiversity. Along riverbanks it is particularly problematic and can exacerbate flooding due to it causing large areas of bank to be exposed when the stems die back in winter. The plant’s ability to form large monocultures is even more impressive considering that just the female plant was originally introduced to the UK, meaning it cannot produce viable seedlings. Thus it can only spread vegetatively from cuttings. This means it spreads either by rhizome (root) growth, or when soil containing rhizome fragments is moved from one area to another, usually from human interference (often fly-tipping); but this can also occur naturally such as during floods. Japanese knotweed is particularly problematic to the built environment too, both at commercial sites, where construction of new development is occurring, and at residential properties. 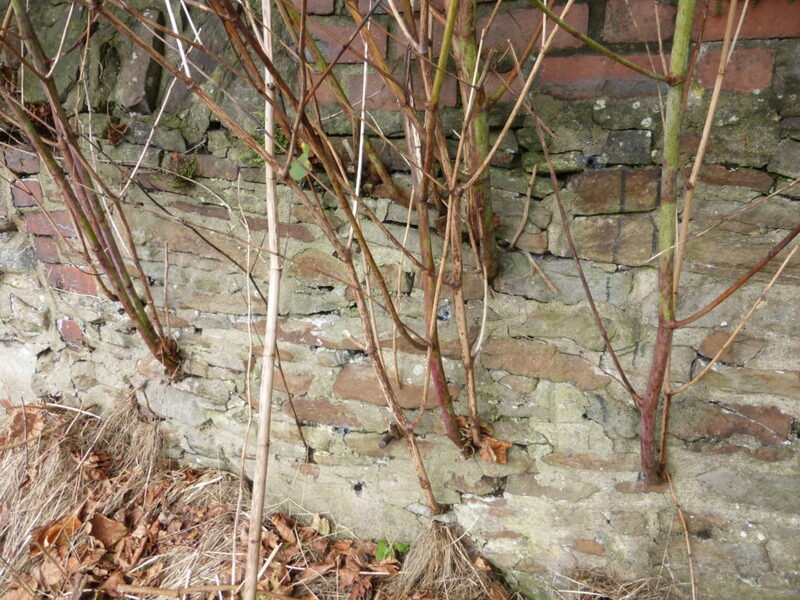 While stories of Japanese knotweed breaking through concrete are wide of the mark, it is very much capable of further aggravating structural issues within properties by growing through existing weaknesses, openings and cracks in buildings, services and walls. The problem is, however, not uncontrollable. In fact, with the right treatment plan, Japanese knotweed is quite manageable. With this in mind, buying a property with knotweed can be perfectly acceptable, providing you follow the correct procedures. What should you do then, if you discover knotweed growing on your land? In the first instance, you need to be sure that you’ve identified it correctly. There is a wealth of information on the web for identifying Japanese knotweed. However, if you are still in doubt, you can use our free knotweed identification service to submit your photos for expert review. If necessary, we can then undertake a survey of your site or property. We can also help with any knotweed legal issues you might have with regard to property risk. Although it is not illegal to have knotweed on your property, it is illegal to allow it to spread from your land to another property or into the wild. More commonly, and more significantly (in terms of potential costs), allowing it to affect other properties could expose you to the very real risks of litigation (such as in the landmark knotweed ruling against Network Rail). By using a suitably qualified and experienced company like Phlorum to manage knotweed affecting your land, backed up with an insurance backed guarantee, you are effectively protecting yourself from these potentially significant property risks. So even though Japanese knotweed might not literally be “dangerous”, it is a plant that does require respect and careful planning to appropriately manage. Whether you have land on which knotweed is growing, or you plan to purchase a property that is affected by knotweed, time spent researching the risks posed and gaining advice from experts is essential. Please contact us if you’d like to discuss how we might be able to help.